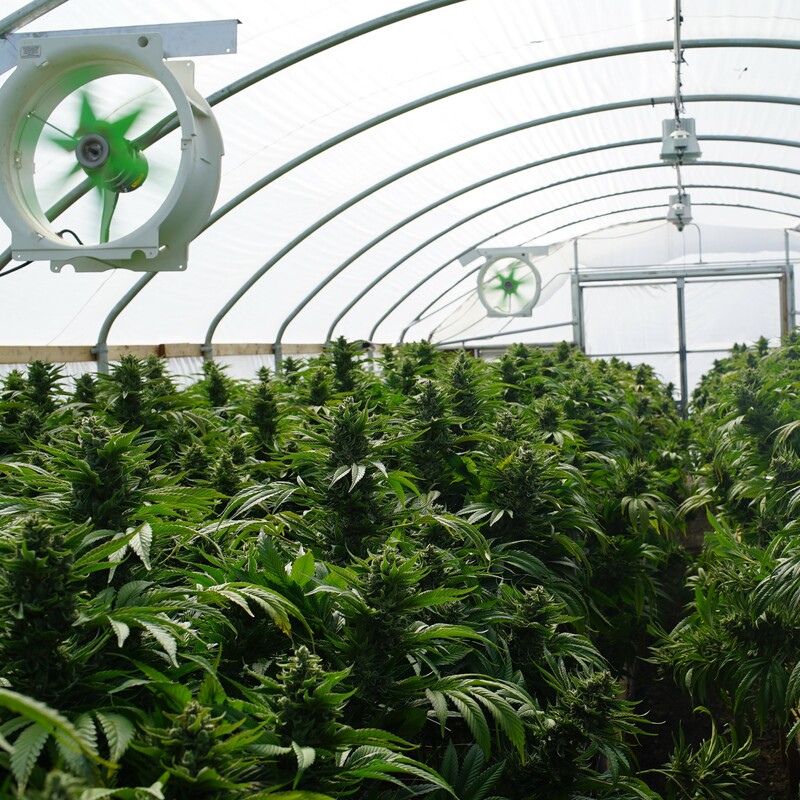 Indoor cannabis grow operations can be very energy intensive, using about ten times the amount of energy per square foot as a typical office building. In states where either medical or recreational cannabis is legal, utilities can achieve big energy savings by proactively engaging with these customers. SWEEP just released a new report on this topic, “A Budding Opportunity: Energy efficiency best practices for cannabis grow operations.” Three leading utilities in the Northwest are reaping the benefits of proactively engaging with the cannabis sector, saving more than 44 gigawatt-hours (GWh) per year by providing technical assistance and incentives for over 130 completed energy efficiency projects. The vast majority (125) of these projects involved lighting improvements. Many growers are now using LED lighting fixtures in the vegetative rooms, saving up to 50 percent of the lighting energy consumed compared to the standard practice. For the flower rooms, growers are saving 25 to 40 percent of the lighting energy needed through installing double-ended high pressure sodium (DE-HPS) fixtures, or hybrid combinations of DE-HPS and LED fixtures. One of the most surprising things we learned through our research is that cannabis grow houses consume more electricity for cooling, dehumidification, and ventilation than for lighting. Although there are many opportunities to improve cooling and dehumidification systems, very few projects have been completed in this area. Why is that? One of the main reasons is the lack of technical expertise in mechanical system design for indoor agriculture. Healthy plants transpire water vapor into the air, and there are challenges with controlling the relative humidity properly to prevent mildew and fungus problems, while doing so in ways that are energy efficient. Some medium-size or larger grow operations are meeting these challenges, however, using well-designed chilled water systems to save 30 to 40 percent of the energy needed for cooling and dehumidification. The best time to for grow operations to implement these energy-efficient practices is during the design phase, rather than after the operations are up and running. Many utilities have technical assistance programs to help industrial, agricultural, or commercial customers design new facilities. But utility programs often lack specific expertise in indoor agriculture or cannabis growing, or hesitate to reach out proactively to this sector because of marijuana’s questionable legal status at the federal level. SWEEP respects these concerns, but encourages utilities to overcome being too cautious about working with cannabis growers. If energy-intensive cannabis production is legal at the state level and rapidly expanding, why not be proactive and help growers be as energy efficient as possible? Doing so can help utilities avoid distribution grid congestion problems and achieve their energy savings goals, while helping cannabis producers improve their bottom line. Neil Kolwey is Industrial Program Director at the Southwest Energy Efficiency Project, where he promotes best practices in utility energy efficiency programs for industrial customers and policies to support combined heat and power. Neil also manages the Colorado Industrial Energy Challenge, a voluntary program encouraging industrial facilities in Colorado to set 5-year energy efficiency goals.